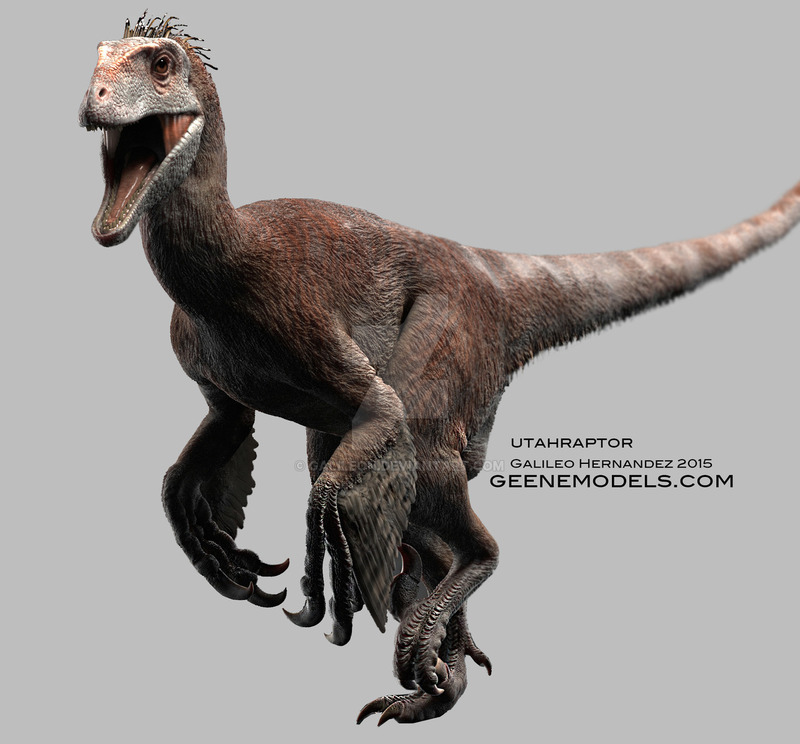 Having the unique distinction as one of the largest raptors that have ever lived, Utahraptor is a dinosaur that lived approximately 125 million years ago during the Cretaceous Period. 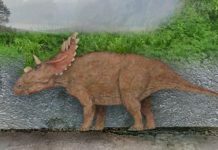 It was first discovered in Utah in 1991, and as you may have guessed, its name is a reference to the state in which it was discovered. 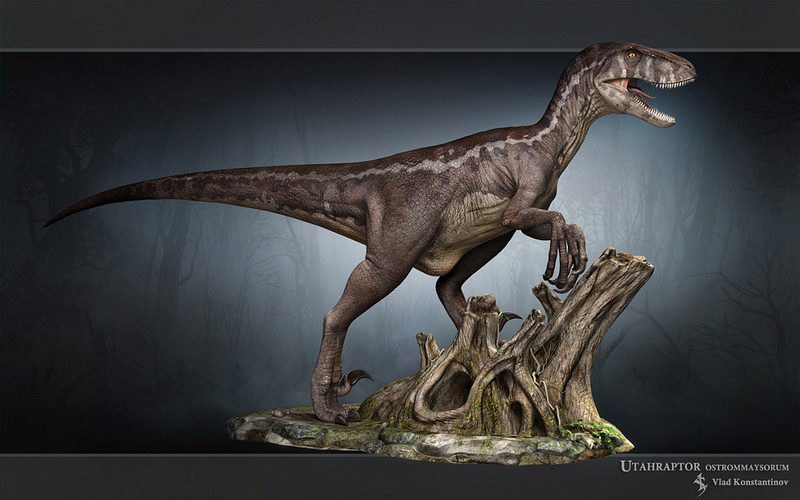 Utahraptor was almost 25 feet long and weighed over a ton. 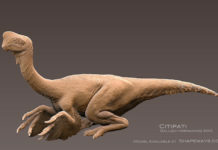 This makes it about ten times heavier than the average raptor, and in the same neighborhood as a polar bear. 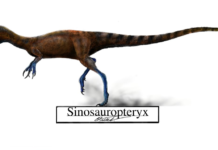 This raptor also had a nine inch claw that it could eviscerate herbivores with. 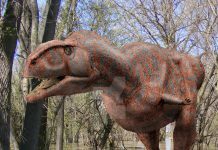 This dinosaur is also believed to have had a warm blooded metabolism like a modern bird. 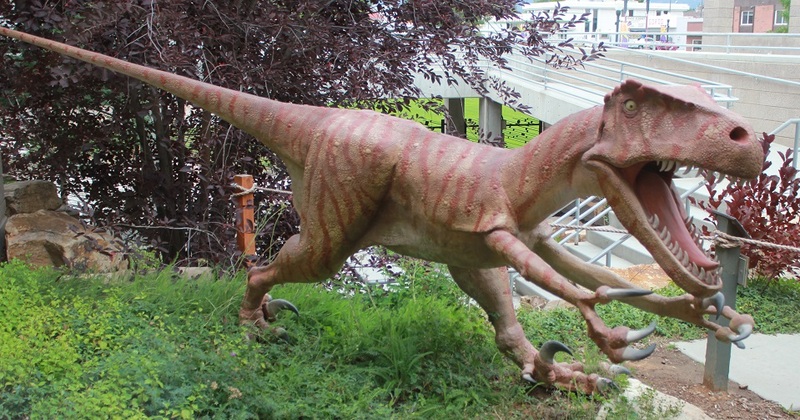 What is currently unknown about these dinosaurs is whether or not they hunted in packs. 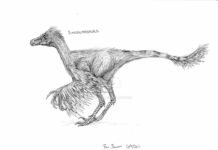 While it is pretty well established that raptors such as the Velociraptor may have hunted in packs, no one is really sure if Utahraptor did. 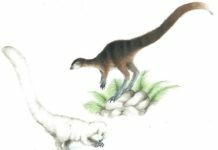 There is no proof that that these animals hunted in packs and most of the fossil specimens have been of individual Utahraptors and not groups of them. The fact of the matter is that there is simply not enough proof to show pack behavior or not.